A well laid infrastructural with latest technological advancements has enabled us to meet the voluminous demands of customers across the globe. We have a team of skilled professionals with ample industrial experience who carry out the whole manufacturing process.Our organization also encloses an in house design unit with CAD / CAM facility, for continuous enhancement of our models and designs. Laying emphasis on quality and planned manufacturing process we stay ahead of our competitors by providing our clients with one stop solution for industrial cutting tools. 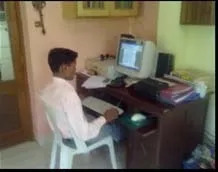 With our dedication and sincere efforts we aim to achieve maximum customer satisfaction by providing our clients with customized solution as per the specifications given by the within a stipulated time frame. We also have the ability to dispose or bid for cutting tools (dead stock). We manufacture and export a wide assortment of cutting tools, which are available in standard and special designs that find extensive application in various industries. Our entire gamut is fabricated using qualitative raw material sourced from reliable vendors. 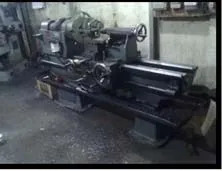 Our range of tools encompasses drills, side & face cutters, diamond dressers, threading tools, micro boring bars, dies, ball cage, special tools, form tool, slitting cutter, standard tool, CNC tool and gear tool and other cutting tools. We have reached a height of success by manufacturing and supplying a wide range of precision engineered cutting tools that find extensive application in various industries. We have been able to maintain the highest norms of manufacturing process with the efforts of our team of experts. 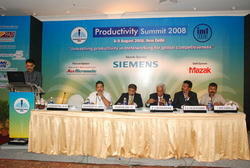 These professionals have ample industrial experience and are well versed with the dynamic changes of the market. 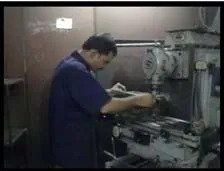 Our team of engineers, designers and technicians keeps themselves updated with latest technological invention and carries out manufacturing process ensuring flawless range of cutting tools. Our quality inspectors keep a close vigilance on the whole manufacturing process right from the procurement of raw material till its final dispatch. Sales and marketing professionals keep a close eye on the changing trends of the market to deliver the upgraded range of tools. 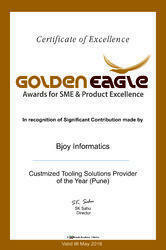 Their joint efforts have helped us in achieving a reputed position in the industry. 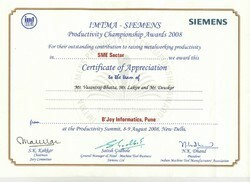 IMTMA- Siemens Productivity Championship Award 2008.